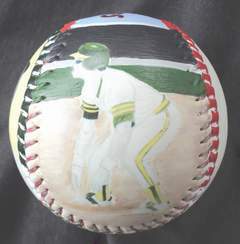 Side one is my close up painting of the all time leading base stealer, Ricky Henderson. 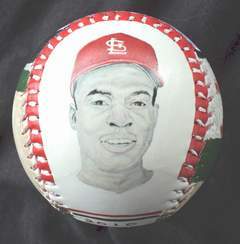 Side two has my close up painting of the former stolen base leader, Lou Brock. 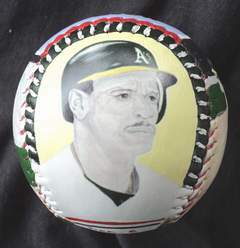 Side three has my action painting Ricky Henderson getting ready to swipe one! 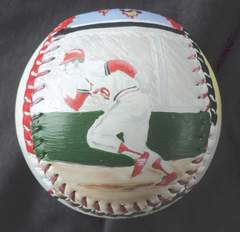 Side four is my action painting of Lou Brock stealing second base. 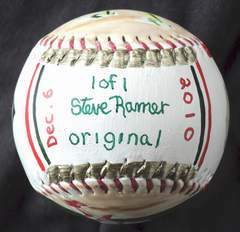 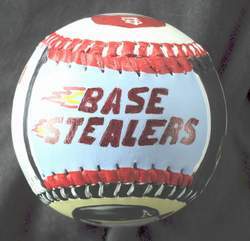 Side five, which is the top of the baseball, has "Base Stealers" hand painted with flames.